Pittsfield, Mass. 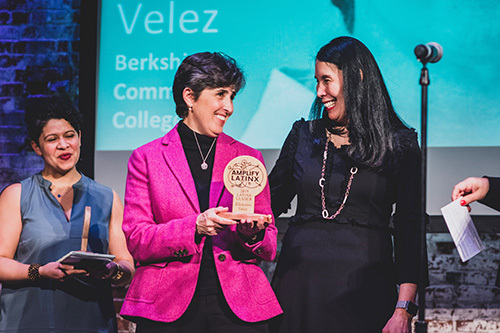 – Berkshire Community College’s (BCC) Coordinator of the Multicultural Center, Eleanore Velez, has been recognized by Amplify Latinx as a 2019 Latina Leader. Amplify Latinx is a Boston-based, non-partisan, collaborative movement whose mission is to build Latinx economic and political power by significantly increasing Latinx civic engagement and representation in leadership position across sectors. Berkshire Community College (BCC) is a public, fully accredited, community college offering associate degree and certificate programs, as well as various other educational opportunities, primarily to the residents of Berkshire County and surrounding areas. 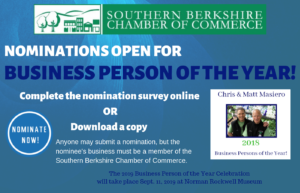 Visit BCC online at www.berkshirecc.edu.